These deals are only valid on Wednesday, May 4, 2011. It’s a 1-day only sale. It is limited to stock on-hand and it is not valid on previous purchases and there are no rain checks. There’s a limit of 1 per customer. Click here for more information about the Montreal deals. Does your mother have an active lifestyle? If she does then you should definitely check out Sport Chek to find that perfect gift for Mother’s Day. For a limited time, Sport Chek is offering a buy one, get one 50% off on big brand footwear. Plus Yoga apparel and spring jackets are 25% off. Click here to shop Sport Chek online now or for more information about the deal. This is a limited 1-day only sale that will expire tonight at midnight (Tuesday, May 3, 2011). Click here to buy now or for more information about the deal. Quantities are limited so don’t miss out! Buy up to 5 vouchers for yourself and unlimited as gifts. Limit 5 vouchers for personal use. Dine-in only. Reservations required, please call 514.878.3641 for bookings. Valid for food and alcohol. Limit 1 voucher per table, or 2 vouchers for tables of 4 people or more. Not valid for tax and gratuities. Not valid with other offers. No cash back or credit. Cannot be redeemed before Wednesday, May 4, 2011. 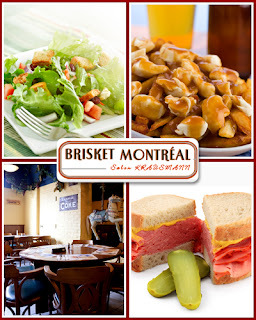 Brisket Montreal is the food taster’s choice for an easy-going lunch or dinner experience. They pride themselves on flavourful food and a comfortable atmosphere that includes traditional seating and exposed brick walls, with an emphasis on the ever-popular king of all fry-related dishes, the poutine. Brisket’s menu also goes on to include some of the most delectable smoked meats and sandwiches in all of Montreal, as well as a quaint little bar to help you wash down your food just in case your cheese, fry and gravy combo need an extra bit of company. It’s great to see good food and drinks getting along. Enjoy. 81% of UrbanSpoon.com users have highly recommended Brisket Montreal. uccès. Éxito. Success. No matter how you say it, anyone worth their weight in syntax knows that while the world may be flattening, there’s never been a more important time to speak multiple languages. And with today’s deal, the doors of communication are being flung open for 50% less. Pay $119 and receive four 60-minute one-on-one language classes in your choice of either French, English, Spanish, or Mandarin — as well as a 20% discount on additional lessons within the same month — at Communications Anima (a $240 value). A proven language leader for both professionals and casual learners since 1982, CA offers test preparation in OLF, TOEFL, and TOEIC, as well as personalized writing, reading, and speaking lesson plans to accomodate all types of learners. Just check out the company’s glowing reviews from past students. Cash in on this deal and learn locally to succeed globally. Limit 1 voucher may be purchased per person, additional as gifts • Limit 1 voucher may be used per student • All 4 classes must be redeemed within 30 consecutive days • Reservations required and subject to availability; voucher is subject to forfeiture • Normal cancellation policies apply • May be used over multiple visits • Other conditions apply • Promotional value expires on November 4, 2011. With today’s TeamBuy offer: for only $22 get a deluxe facial, a spa pedicure and full face threading and eyebrow shaping from Salon Ami, a total value of $82! You can buy up to 3 vouchers for personal use and the vouchers don’t expire until October 27, 2011. This is a limited 1-day only sale that will expire at midnight (Tuesday, May 3, 2011). Click here to buy now or for more information about the deal. Quantities are limited so don’t miss out! The threading technique used for hair-removal has been developed for centuries in India and the Middle East as an all natural, effective way to get rid of unwanted hair in delicate regions, especially on the face. To create beautifully arched and clean eyebrows, or remove hair on the chin, upper lip, and cheeks, one needs to use a technique as delicate as the areas it is treating, and threading is just that. A100% cotton thread will be used by the expert hands of the staff at Salon Ami to give a new, breathtaking shape to your eyebrows to complement your face and enhance your beautiful eyes, as well as to remove any unwanted hair in other areas of your face. Your fresh face will then be pampered even further with either a Silver of Fruit deluxe facial. The Silver facial is designed for either normal or combination skin types, whereas the Fruit facial is good for all skin types – the best suited facial for you will be determined by your esthetician on the day of your visit. Both facials include the cleansing of the face, an exfoliation and removal of black heads, dead skins and other impurities, the moisturizing of the skin and a gentle massage to activate circulation and give you a radiant glow. And finally, since you want to be pretty from head to toe, you will receive a fantastic ‘spa’ pedicure, where your feet will be scrubbed, bathed in sea salts to give them a new glow, then covered with a feet mask to re-hydrate and moisturize them, and finally embellished with your favorite shade of nail polish. Add glamour to your glances and spring to your steps with today’s TeamBuy offer! 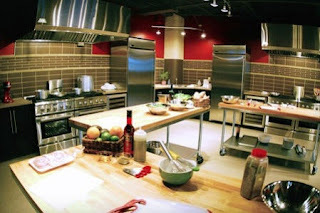 With today’s Groupon: for $55, you get a hands-on cooking class, four-course meal, and two glasses of wine at Chef en Vous (up to a $120 value). Talented chefs at Chef en Vous empower budding gourmands to master the culinary tradition of their choice in a spacious, ultramodern kitchen. Over the course of at least 3.5 hours, classes of about a dozen students embark on a culinary expedition through a narrowed cuisine strait, learning new skills and helpful tips, such as which spoon best doubles as a catapult. After preparing a four-course meal, leapfrog over your fellow students to the dining room and let waitstaff serve your recently assembled feast, sipping two wines of your choice over plates more artfully presented than a mystery gift from Vincent van Gogh. After a thorough kitchen tutorial, students utilize their newly acquired set of hunger-tranquillizing skills to impress future in-laws or underappreciated stunt doubles. Though not included with this Groupon, Chef en Vous also offers a Chef-at-Home service and summer cooking camps for children ages 8–15. As a Mother’s Day online exclusive, you can create your own special gift with the purchase of a $5 gift container at The Body Shop. When you add a $5 gift container to your shopping cart, you will receive 30% off your entire online purchase! This is a limited time offer, while supplies last. Click here to shop The Body Shop online now or for more information about the deal. 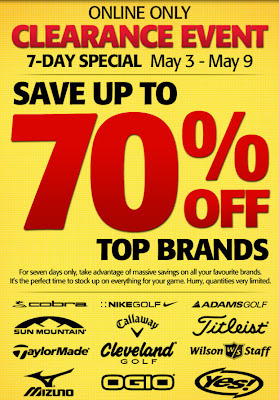 For seven days only from May 3-9, 2011, you can save up to 70% off top golf brands at Golf Town during their clearance event. The sale is available online only while supplies last. I just checked their website and there’s a large selection of golf equipment to select from and there some very hot deals. Click here to shop Golf Town online now or for more information about this sale.